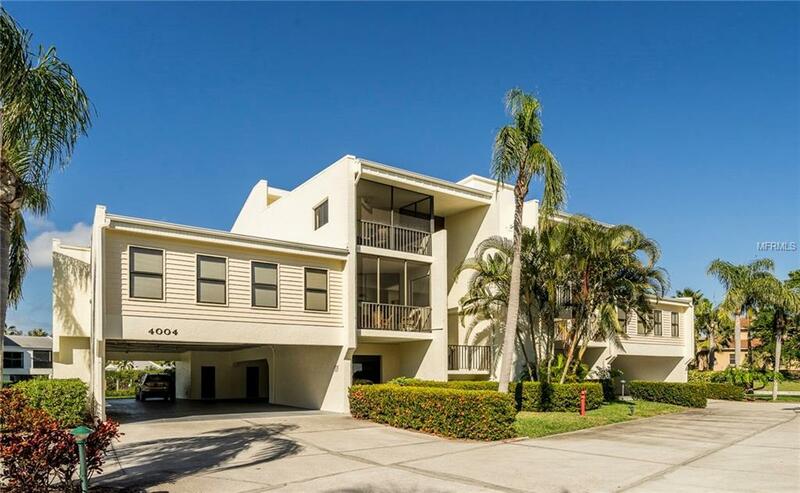 Beautiful 3BR/3BA townhouse plus 40' dock w/lift on salt water canal. Dock your boat here! Work at home? 1st floor BR is already customized as a 'HOME OFFICE DREAM' with many desirable built-ins. Airy vaulted LR 30 ft ceilings, skylights & storm-resistant windows for open spacious feel. LOTS of STORAGE SPACES! 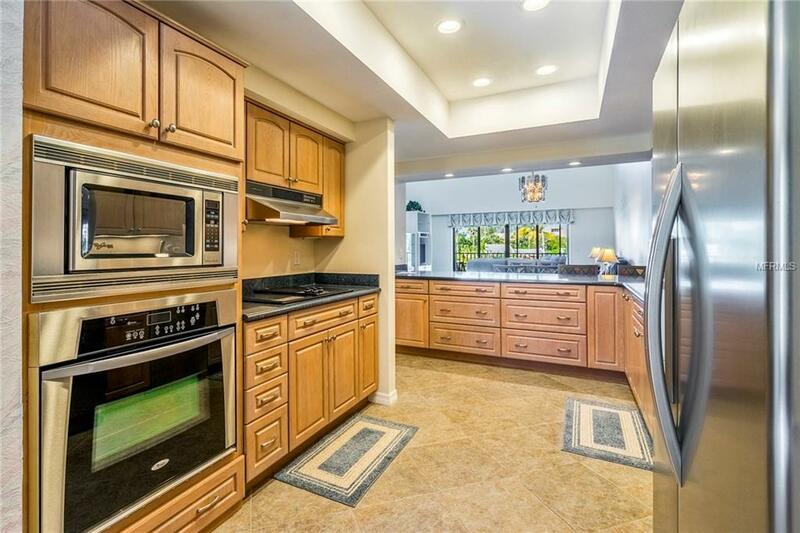 Decorator kitchen matches today's lifestyle - quartz counters, wood cabinets/easy-close drawers, stainless appliances, built-in convection/microwave ovens, Jenn Air cook-top (w/grill, wok, rotisserie...) plus full pantry. New lighting & diagonally-set ceramic flooring complete a super kitchen. Upstairs: 2 master bedrooms; larger MBR has high natural lighting plus multi-faucet shower, spa tub, granite vanity, dual sinks & custom walk-in closet. Small upstairs balcony is perfect for morning coffee & lounging. New washer/dryer. Also upstairs: the 25x7 Florida Room/loft overlooks canal & Palma Sola Bay: artist studio? exercise area? Security system, 5 fans, two a/c systems! Generous lanai overlooks canal, docks + pool#2. Elevator in bldg. Parking underneath for 3 cars + large storage/workroom. Quiet.. 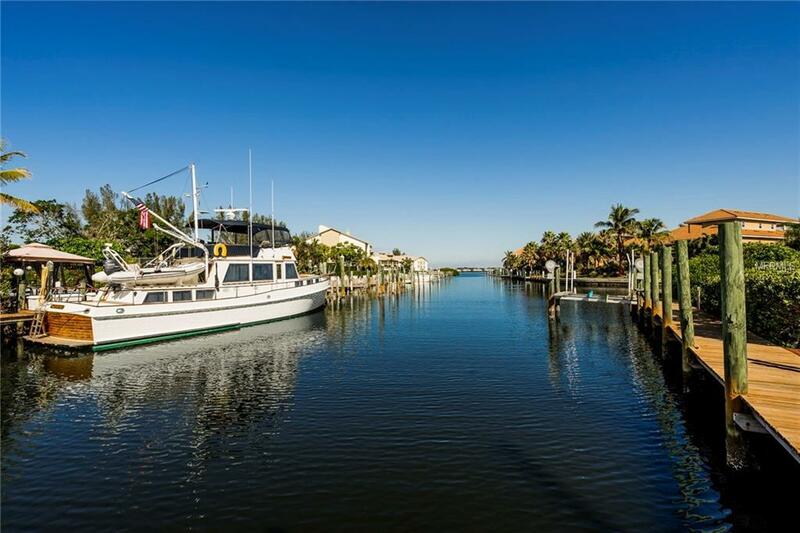 Smugglers has 9 buildings all on a protected canal w/2 heated pools, hot tub, tennis, clubhouse & workout room - located in Cortez, a quaint working fishing village w/great seafood. 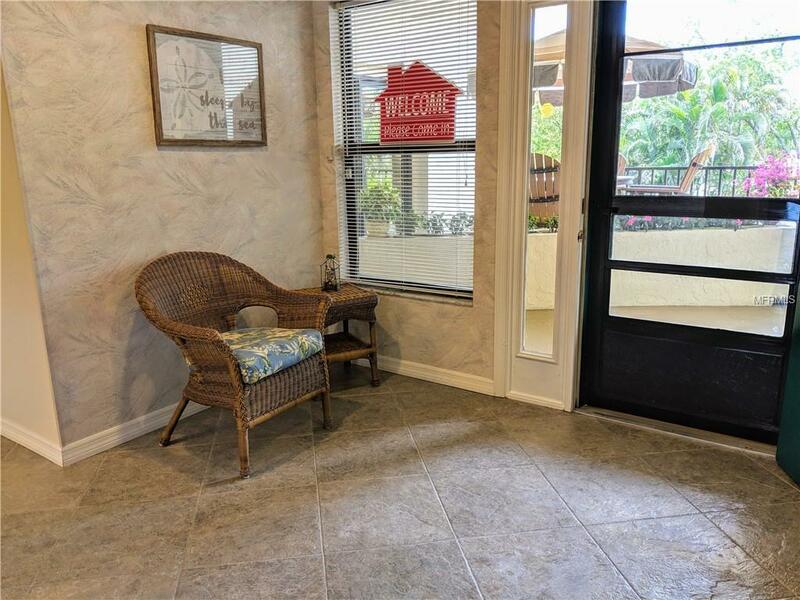 Walk, bike 1/2 mile to beaches & shops; enjoy sport fishing, jet skiing, boating. No fixed bridges to Gulf/Sarasota/Tampa Bay! Boater's Heaven. Super Price...interested? It's time! Additional Water Information Saltwater Canal To Palma Sola Bay To Intracoastal Waterway (Icw). Additional Lease Restrictions Must Be Approved By Association. Pet Restrictions See Condo Rules And Regulations. Listing provided courtesy of Bayshore Realty Inc.